Working hard at the Liverpool Craft Extravaganza. 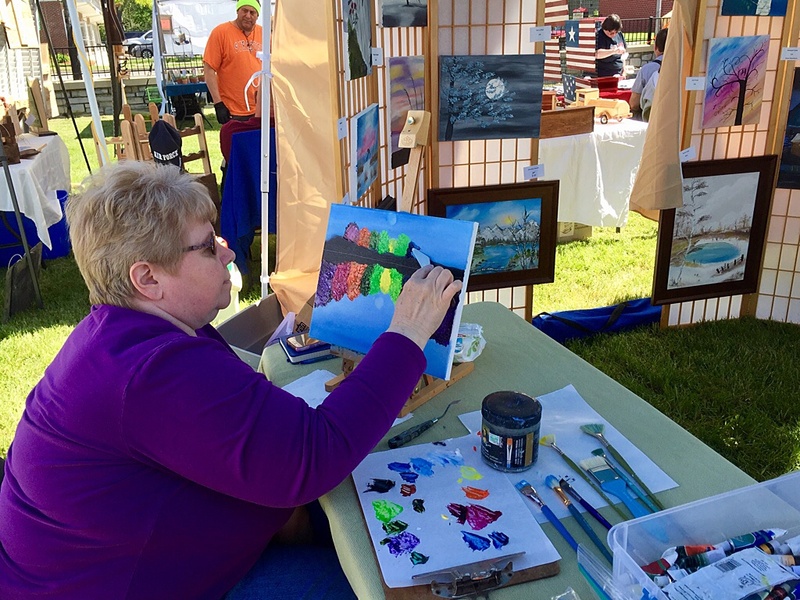 Strolling through the Liverpool Craft Extravaganza in Washington Park last month with my dear wife Karen, I spotted a familiar face among the booths. Diane Sokolowski was sitting on the side, in the sun. Painting. Her works were hanging insider her tent. Months prior, she was the featured artist on the walls of the lobby at the Liverpool Public Library, and I interviewed her for my weekly LPL column for the weekly community newspaper. We were glad to chat for a moment. Diane does great work. It’s great to connect in the community. June 11, 2017 in Life.